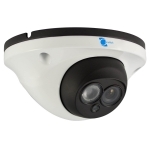 Mini IR Dome Camera, 1/3" SONY EFFIO-E Exview CCD II Sensor, 700TVL, 3.6mm lens, 1 LED Array, 82ft IR night vision, Low illumination, BLC, AGC. - 1/3" SONY EFFIO-E Exview CCD II Sensor, 700TVL. - 3D adjust Horizontal 355Â°, Vertical 90Â°. - IR ON 0 Lux. - Power adapter not included. - Beautiful appearance, Easy installation. - 3.6mm lens, 1 LED Array, 82fts IR distance. 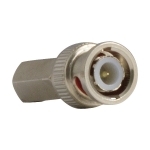 Video balun passive 2000ft, Contains 6 Pairs (12 Pcs). 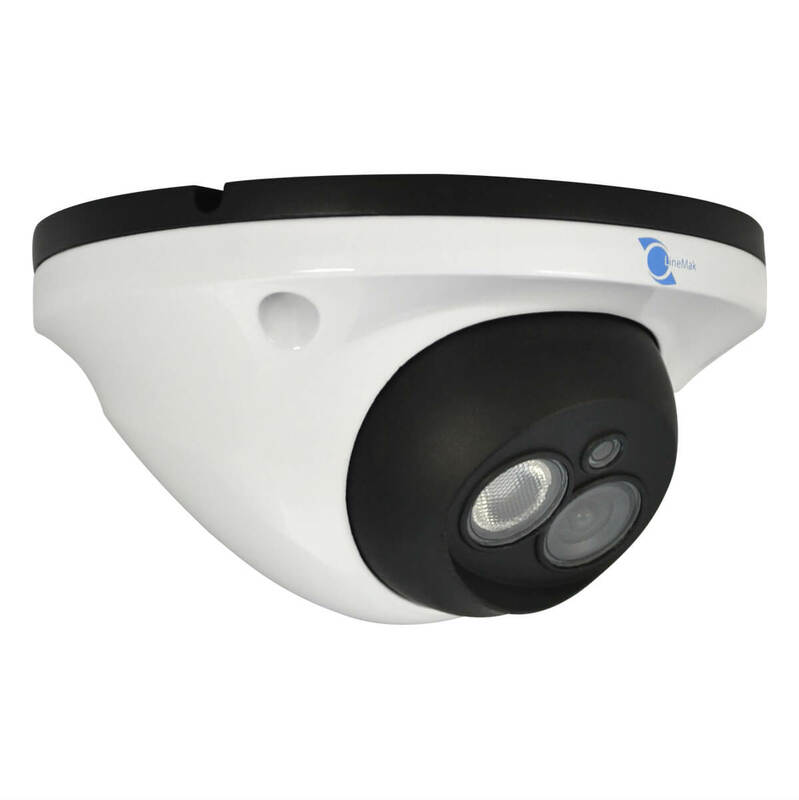 Mini IR plastic dome camera high-resolution with a 3.6mm lens and a viewing angle of 92Â° which has an 82ft IR range of infrared night vision thanks to its LED array type. Top of the line equipment regarding sensor and driver. This equipment is designed for indoors usage and can be easily installed anywhere going unnoticed thanks to its size. 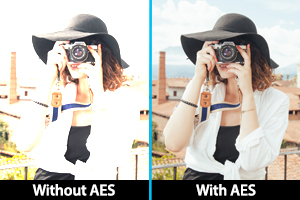 Its resolution, sensitivity and wide opening angle are perfect for monitoring stores, offices, shops, warehouses and anywhere with little or no light. 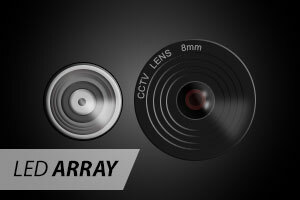 For best results, regarding image quality, use our servers and digital video recorders (DVR). 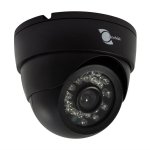 See this camera online through any of our recording systems. 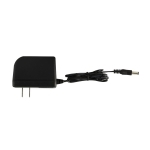 - Power camera by using an individual power source. - Never point the camera towards the sun. - Do not operate camera beyond its temperature, humidity or power source ratings. This camera does not include power supply since it depends on the installer or the consumer on how they will supply power. We sell individual power supply with different amps and centralized power supply. It all depends on the requirements needed for the installation. Please ask us for our recommendations or questions if you are not sure or need support before purchasing. - 1/3" CCD Sony Effio-E Exview II. - 0 Lux with LED on. 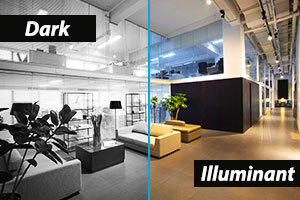 - BLC support function: suitable for objects monitoring under backlight environment. 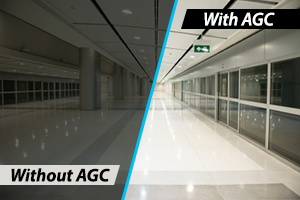 - AGC support function: adaptive brightness. 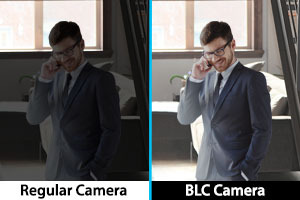 In the security cameras, the BLC is a function that seeks to compensate the backlight situations to prevent the camera dazzles with great intensity of light received and produce an unsatisfactory image. 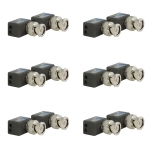 This feature delivers a sharp image in low light and nighttime conditions. 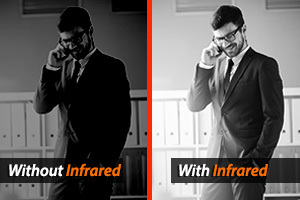 There is also real solution to day and night surveillance applications that deliver clear and sharp color images in illuminant areas and black and white images in dark areas using infrared illumination, without the need to refocus the lens.